Welcome to The Carlin Ranch! 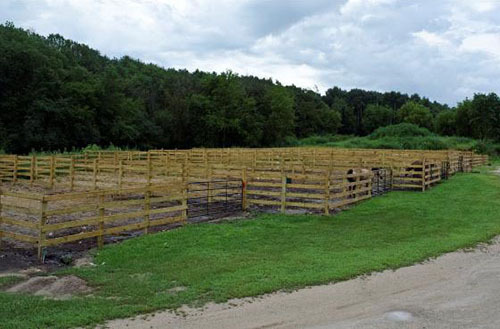 We are a premier horse boarding facility located in the heart of Palmyra, WI in Jefferson County. Enjoy access to virtually 80 miles of public Kettle Moraine trails just steps from our driveway. Our facility is a no drama barn that creates a friendly atmosphere. We welcome all disciplines and levels of riding, including those riders who show and those who enjoy a weekend trail ride. The facility owners live onsite and horses are checked multiple times a day. We offer outside (rough board) and inside board along with a wide variety of amenities. Call Tim or Jean to schedule a tour of our wonderful facility. 60x120 Indoor Arena, 100x200 Outdoor Arena, Round Pen, Heated Aisles, Hot/Cold Heated Wash Stall, Washer/Dryer, Heated & AC Lounge, Trail Access and more. Heated Stalls are rubber matted, generously bedded and cleaned 7x per week. High-quality alfalfa & grass hay fed along with Nutrena Safe Choice. Includes daily turnout (individual or group). Pasture boarders have access to automatic waterers, shelters and are fed hay & grain 2x daily. All horses are brought in during extreme weather. Group or individual pasture boarding available.